LJMU's Clinical Pharmacy MSc enables primary care Pharmacists and those at the interface with secondary care to embrace their role in interprofessional settings. This course reflects the evolving role of Pharmacists in primary care and at the interface with secondary care. It is closely aligned with the Government's published plans for the role of the Pharmacist in NHS England. The programme aims to support you in developing your practice in line with the RPS Foundation Pharmacy Framework. It will serve as the base for successful and effective careers in Clinical Pharmacy, with those having completed the programme being equipped to effectively optimise patient care, make evidence-based recommendations around therapies and develop practice to directly benefit the patients and organisations they serve. The School of Pharmacy and Biomolecular Sciences is a partner with the Centre for Pharmacy Innovation (CfPI). The CfPI provides excellent links with community pharmacy and secondary care, through the other partners, Lloyds Pharmacies and The Royal Liverpool and Broadgreen University Hospitals NHS FT. These links have helped to support the development of this programme and provide assurance regarding the relevance of the course and its content. settings, the course will allow you to develop your own role, including fostering leadership skills to help move your practice into new areas. This will help to improve job satisfaction and support new and innovative practices locally. The course is aligned to the RPS Foundation Pharmacy Framework, and it is anticipated that this will support graduates in meeting future – and continuing – fitness to practice requirements from the GPhC. Your programme is made up of a number of core and option modules and a research project as detailed below. This module covers the underpinning clinical knowledge relevant to high quality clinical practice. It aims to advance clinical knowledge of therapeutics and to provide you with the skills to apply this expertise to the appropriate management of a range of chronic and acute conditions commonly seen in primary and interface care. This module provides the foundations for high quality clinical practice. It aims to develop skills and competence to make recommendations on effective treatment plans for individual patients and monitor their effectiveness and success, taking account of the patient's individual circumstances. This module covers systems-level management of clinical practice, including how healthcare services are organised and delivered. This module will enable you to develop and extend your research abilities and complete a substantial research project exploring a relevant aspect of clinical practice in primary and interface care. This module builds on the skills and knowledge that you have gained through the first year of study and your on-going practice to help you develop leadership, change management and educational skills and techniques that are relevant to your future careers. It aims to develop leadership, coaching and mentoring skills and techniques to enable you to contribute to the development of healthcare practice. This module aims to enable healthcare professionals to develop clinical skills for prescribing, including patient evaluation and monitoring. This module aims to prepare Pharmacists for prescribing practice and is supported by a Designated Medical Practitioner to hone prescribing skills. The module facilitates effective prescribing considering clinical, ethical and legal factors. This module aims to provide integrated knowledge and understanding of the underpinning basis of medicines used in advanced clinical practice for application to individual patients. This module aims to develop integrated knowledge of medicines use – including evidence base, national standards, funding arrangements and cost effectiveness – in supporting practitioners to deliver patient-centred care. The MSc level Research Project is undertaken in your workplace under the supervision of a University Supervisor, with support from a local mentor, where available. The programme uses a blended learning approach including recommended reading, short recorded lectures, online quizzes, seminars, workshops and workplace-based learning. In addition to LJMU staff, expert practitioners will be involved in programme delivery. The embedded prescribing programme was provisionally accredited by the General Pharmaceutical Council in March 2017. Successful completion of the programme will result in you being issued with a Practice Certificate in Independent Prescribing, which entitles you to apply for annotation as an independent prescriber on the GPhC or PSNI register of Pharmacists. Please note: successful completion of an accredited course is not a guarantee of annotation or of future employment as a Pharmacist Independent Prescriber. The GPhC’s accreditation report(s) and the timescales for future accreditations can be viewed here. As you will be working as you study, this programme enables you to put your new found skills into practice immediately. At the heart of the course is the requirement to maintain a professional practice portfolio, detailing clinical practice and personal development. Each module will involve formative and/or summative assessments, which help to contribute to this portfolio or draw on its content. Assesment methods for this course include: written exams, oral and written case reports and written reports of activities such as practice evaluation exercises. Some modules also have competency requirements (pass/fail assessments). These components are based around demonstrating competence through Objective Structured Clinical Examinations (OSCEs) and the professional practice portfolio. For the Master of Science Research Project Module you must submit a research project report. All assessments are moderated by an external examiner. If your overall performance is of a very good standard you will be awarded a Merit and where performance is of an exceptional standard, a Distinction will be awarded. Charles is a pharmacist, Fellow of the Royal Pharmaceutical Society (RPS) and an RPS Faculty Fellow. His background is in community pharmacy and he managed a number of pharmacies before purchasing his own business in the Midlands. He completed a Masters degree in research methods, followed by a PhD in Pharmacy Practice at the University of Manchester. Charles joined LJMU in 2005 and currently has professional and academic responsibility for the development and delivery of the University’s clinical pharmacy programmes, as well leading the clinical pharmacy research team. 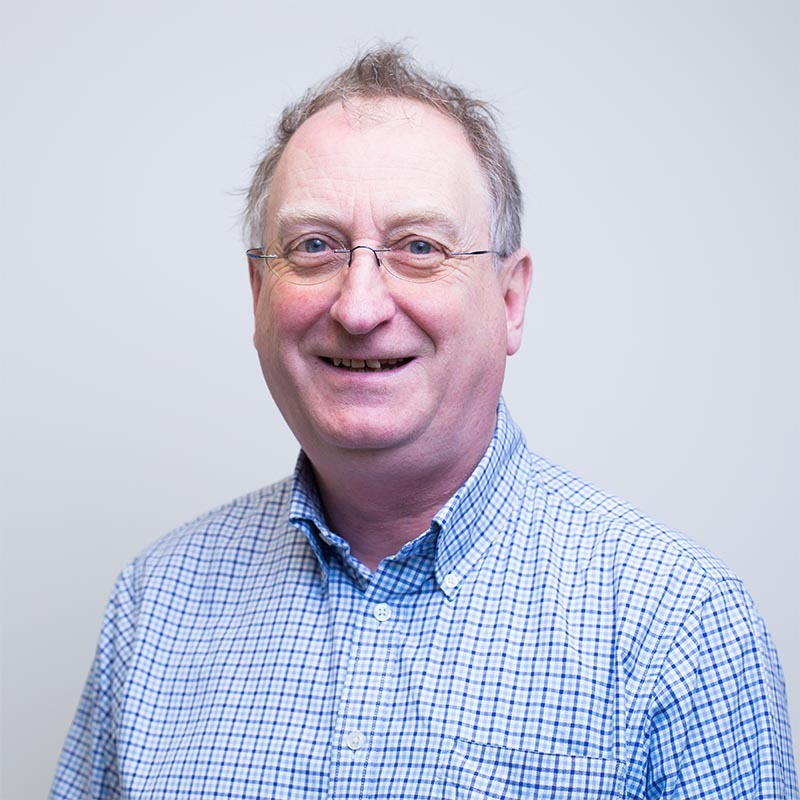 Charles’ research interests are patient-centred and include adults, paediatric and young people’s experiences of illness, health and healthcare provision, adverse drug reactions, quality of life measures, patient information needs, patient safety and patients’ expectations of pharmacy services. I particularly enjoy the challenge of designing and undertaking research projects to tackle problems facing practitioners in day-to-day practice. The programme is delivered in the student's workplace. University staff are based in the Faculty of Science in the City Campus. Here you’ll find state-of-the art laboratories and teaching spaces. In terms of independent study support, the Avril Robarts Library, open 24/7 during semesters, is located just minutes away from the Faculty of Science on Tithebarn Street. Where an applicant has previously completed an independent prescribing qualification, it may be possible to recognise this prior learning within the programme structure and credit may be granted for the relevant modules that make up the prescribing award in the present programme. This is subject to approval by LJMU at the admissions stage. LJMU will also consider students who have obtained an appropriate Postgraduate Diploma in Clinical Pharmacy from LJMU or another institution for direct entry to the MSc research project. This allows students to 'top up' an existing PgDip to a full MSc by completion of a research project. Students applying for this route do not need to be employed in a role in England, but must be in a position that would allow them to complete a relevant research project. Individuals interested in this route should contact the course leader by emailing: PBS-Office@ljmu.ac.uk to discuss their circumstances prior to submitting an application. Select the course that you would like to study from the drop-down menu – ensure that you choose the correct target award (MSc, PgDip or PgCert), the course (Primary and Interface Care), entry point (March), and year. The programmes are all studied part time. NOTE: all documents must be attached to your application within 24 hours of submission – if you wish to attach documents after this date, you will need to email them to the Programme Administrator (contact details below). Please ensure that all supplementary information has been supplied by this date.